Can I Place a Special Or Non-Stock Order? Do You Have a Minimum on Orders? Do You Sell Any Used Restaurant Equipment? Where Do I Enter Promotional Codes (Coupon Codes, Email Coupons)? What does “Add to Cart” pricing mean? What Is Tundra's Return Policy? What does "Quick Ship Plus" and "Stocked Item" mean? How Do I Set Up An Open Terms Account? What is the Web Loyalty Program? Can I Make a Suggestion for a Product or Service that Tundra Should Look Into? How Does Tundra Handle Warranties? Can You Tell me About Your Secure Transaction Policy? How Do I Contact Tundra? What Days is Tundra Closed? Find the product(s) you want. Enter the amount you want in the quantity box and click the “ADD TO CART” button. When you’re ready to check out, click the “SHOPPING CART” button in the upper right hand corner of the page. Check the items in your cart and if you need to adjust the quantities, go ahead, it’s okay to add more. When everything looks like you want it to, click the “PROCEED TO CHECKOUT” button, enter your shipping and billing information, and you’re done; unless you want more stuff, then just start the process over again. International Checkout, for any order you are planning to ship outside of the U.S.
Make it a little easier the next time you visit us and create an account. We’ll save your information for you, but of course it’s always kept private. We can cancel orders if the product hasn’t been shipped yet: give us a call at 888-388-6372 to get started. Can I Place a Special Order or Non-Stock Order? Of course you can, give us a call at 888-388-6372 or fill out our non-stock item request form. Track Order. Using your order number & shipping zip code as inputs, this link at the top right of etundra.com should take you directly to a status of your order. My Account. If you have an account, log in to My Account (at the top of etundra.com) and click on the ‘Order History’ tab to access all of your orders and the current status of each. Check your email. As we invoice your order you should receive an email update that includes tracking information. Please not that for international orders, status updates will come directly from our partner, International Checkout. If all else fails, Call us 1-888-388-6372 or live chat. Please visit the International Checkout Customer Service page at http://www.internationalcheckout.com/cs.php for more information and phone numbers in your area. If you would like a quote on something not found on our website, reach out and contact us using the information below, or use our special request form. Sure, and our sales team would love to chat with you about bulk orders, just give them a call at 888-388-6372. No we don’t; feel free to order as many as you’d like. Sure can, just fill out our catalog request form. Help, I’m Trying to Resize My Recipe for 100 People, And It Keeps Failing, What’s Going On? Oh, the pitfalls of resizing a recipe, we hear ya. What you’re referring to is called scaling, and if you’re planning on scaling up more than 4 times the recipe, you’re going to have troubles, but we have some tips to help you out with your scaling woes..
Nope. Our commitment to quality means we generally do not sell used equipment. This is because it’s so difficult to verify the condition of pre-owned equipment. However, we do occasionally have returned or refurbished equipment available. We encourage you to call our sales staff at 888-388-6372 and we’ll be happy to help you find a piece of equipment that fits your budget requirements. As soon as we get it, we’ll send it to you the same day. Terms. To open an account contact us at 888-388-6372 or download a credit application and fax it back to 800-447-4881.
Credit Card. We accept Mastercard, Visa, Discover and American Express. Leasing. We offer competitive lease to own programs on equipment priced $1,000 to $150,000. Sales tax is only applied to orders shipped to Arizona, California, Colorado, Florida, Idaho, Illinois, Indiana, Maine, Maryland, New Jersey, Nevada, Tennessee, Texas, Utah, Virginia, Washington and Wyoming. Resellers and tax exempt institutions must contact us to avoid being charged sales tax. If you have a promotional code that you’d like to apply to your order, you do it after you’ve added the items you want to your cart. If the promotional code is still valid, you’ll see the discount applied in the price summary box at the bottom of the cart. We understand that shopping around for the best deal is what a lot of our customers do, especially when it comes to heavy-duty equipment, which is why we offer a low price guarantee. We encourage you to shop around – it helps you learn more about the product and find the best price – but always remember that we’ll match whatever low price you find. When you see “Add to Cart” pricing on our site that means we’re able to offer you even further savings on a lot of your favorite brands. Visit our “Add to Cart” pricing page to see all of our partnering brands. Sometimes when you’re shopping in a store and then do price checks online, you’ll find that prices are lower online. That’s because the company saves money when their customers order online and they’re able to pass on that savings back to the customer. Well, we’re all about giving our customers more savings, which is why we introduced “Web Only Pricing” too. It’s our way to keep even more money in your pocket – bring on the savings! Click for Delivery Times or see our Shipping page for more information. Ground: Standard ground shipping for the Continental US(not Hawaii or Alaska). 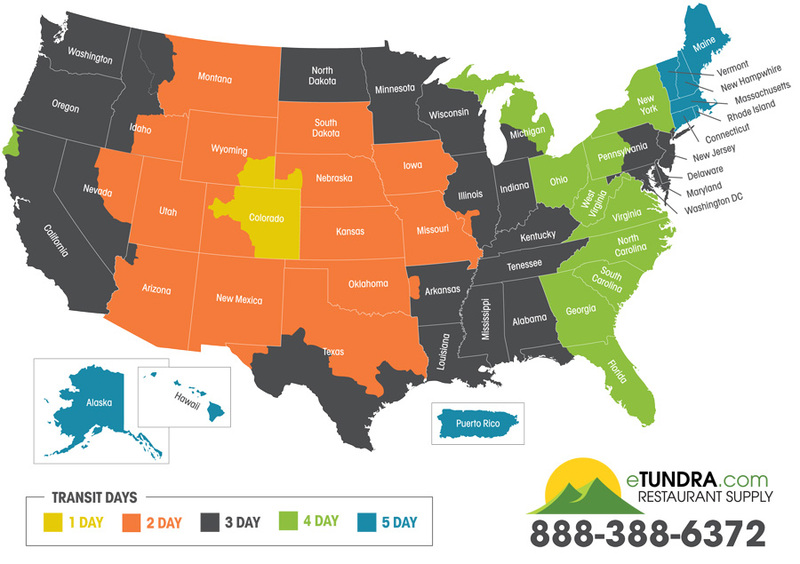 Tundra ships to directly to all 50 nifty United States and with the help of a trusted third-party company, International Checkout, Tundra NOW ships worldwide. That’s a lot of Tundra! Today, if it's in stock. Well, today if you order before 5:00 PM MST Monday-Friday. Once your order is placed, you will be provided with an order number (and a web reference number for orders placed on the web). You can check the status of your order at any time by clicking the “TRACK ORDER” or “MY ACCOUNT” links at the top right corner of the page. A tracking number will be available once we confirm that your order has shipped, and can be found at the locations mentioned above, or in the confirmation invoice email that will be sent to you. You may also contact us via phone or live chat to confirm the status of your order. Items with the following “Stocked Item” Stocked badge are items that Tundra stocks. These stocked items typically ship out same day Monday through Friday (excluding holidays) when the order is placed before 5:00 PM MST. Items designated as "Quick Ship Plus" Quick Ship Plus have been carefully curated as quick-moving, must-have products for your restaurant or commercial business. These items are stocked in our Colorado warehouse and typically ship out same day Monday through Friday (excluding holidays) when the order is placed before 5:00 PM MST. Setting up an open account is easy. Simply download Tundra’s credit application and fax it back to 800-447-4881. We will confirm receipt and your application will be processed in less than two business days. We will contact you as soon as you’re approved. Click “MY ACCOUNT” at the top of any page. You’ll have to sign-in using your login info, but after you do, you can update and edit your account, credit card, address book information, view your order history, and edit your password and email information. Click the “FORGOT PASSWORD” link in the “MY ACCOUNT” drop down box (it’s at the top of every page of the site. Enter the email address associated with the account, and an email will be sent to that address providing a secure link back to etundra.com where you can enter your new password. We recommend updating your password to something you’ll remember and that is unique to you. If you’re still having trouble, give us a call at 888-388-6372. Definitely, that’s how we got where we are today - our customers told us what they wanted. Give us a call at 888-388-6372 or use our contact us page to see other ways you can reach out and chat with us. All defective items are subject to the manufacturer’s warranty. Tundra will honor all warranties on the products we sell; however, we assume no responsibility for manufacturer warranties. We will work hard to expedite claims made by our customers. Warranty policies are available upon request. The security of your personal information is extremely important to us. When you enter sensitive information (such as credit card number) on our registration or order forms, we encrypt that information using secure socket layer technology (SSL). When registration forms require a user to enter sensitive information (such as credit card number and/or social security number), the information is encrypted and protected with the best encryption standard in the industry – you guessed it, SSL. The information collected is used for billing purposes and to fulfill the customer’s orders. To learn more about SSL, please visit http://webopedia.internet.com/term/s/ssl.html. In 1993, Tundra Specialties was born with a single mission: We respond immediately to solve the needs of our customers, so that they can sustain and grow the relationships they have with theirs as measured by unparalleled service standards, ease of access, sense of trust, being a critical resource of knowledge and information, having an incessant drive to have fun, and the commitment to share. CEO Michael Lewis moved to Boulder, Colorado to start a new company based on values. These values are based on ideals we all grew up with but tend to get lost in the shuffle of everyday life and business. Work ethically, share your gains, keep a sense of integrity, humility and respect are a few of them. Starting with only 3 employees and our company values, our company has grown from a local Boulder company to an international distributor of more than 60,000 products. Our evolution is based on our customers’ feedback. Over the years, we have released an annual catalog that has grown to over 400 pages. Our catalog is an excellent reference guide for equipment part breakdowns as well as a large selection of restaurant plumbing, smallwares, and equipment. In 2005 we converted our extensive catalog to a comprehensive ecommerce website. This catapulted us into the national and international market. In 2008 we released the website you are currently visiting. We remain focused on uploading more products and information every day. During these years some of our local restaurant chain customers expanded into national concepts. In addition, established national and international chains have discovered us and our unique ability to both open and replenish their restaurants. Over time, detail and passion for our customer needs has created the Tundra you see today. If you have any questions even remotely related to the food service industry, give us a call at 888-388-6372 or use our live chat feature found at the top of this page. That guy’s name is Chris Tavano, and he’s a former chef, so he has a lot of fancy words that he throws out sometimes, but “mise en place” (pronounced meez en plas) is a French phrase that refers to preparing your ingredients and supplies before starting to cook. It’s the prep work that needs to be done so that when you begin to cook, the process is much easier. What Day(s) is Tundra Closed? We will be closed for New Years Day, Memorial Day, Independence Day, Labor Day, Thanksgiving Day (and the day after), Christmas Eve, and Christmas Day. But if you want to order a product, our website is always open! Our office hours are 7:30 AM - 5:30 PM MST, Monday-Friday.